Here is something I sent to someone else earlier today…..I’m just copy and pasteing my reply to them…. Well..the collins started out as Machapungs in Hyde county, NC. There was also VanderMullen with them and alot of Native people named Gibbs. This was a time when the Saponi was in the Bertie county, NC area. Also….when the English first came to america….not the spainsih but the english…..their first stop was Hatteras island….they found a ship wrecked to pieced and it was partially burned…..the Hatteras tribe (the real name of the Croatoan) had the ship’s flag in their village and there was mixed kids in the tribe already from the people of the Wreckage. The French and spainish was both on Hatteras before the English. The english got their in 1585. The first english even had Portuguese men on their crew…one named Fernando. Now if you google the meaning of gibson…you’ll find several websites that says thats a proven variation of gibbs and gibbes. Another surname found with the Saponi which originated from the Machapunga and Hatteras was Austin. It was also proven that some (not all) Hatteras had moved in with the Mattamuskeet. Hatteras. An Algonquian tribe living in 1701 on the sand banks of Cape Hatteras, N. C. east of Pamlico sound, and frequenting Roanoke Island. Their single village, Sandbanks, had them only about 80 inhabitants. They showed traces of white blood and claimed that some of their ancestors were white. They may have been identical with the Croatan Indians with whom Raleigh’s colonists at Roanoke Island are supposed to have taken refuge. Now we also know some of the Saponi at the brunswick reservation did in fact speak Algonkian. The Hatteras when visited in the 1600’s had blue and grey eyes…could read from books….said their ancestors came from a book called Raleigh…..they showed signs of mixed ancestry…etc etc. But anyway….that who the English brought to Hatteras island in the 1580’s…..this does not even count the spainish and French who came to Hatteras before 1585. But on to the colony of 1587…here is some names. Now Simon Fernando the portugesse….he came on pretty much every trip from 1585-1587…..he was a proven portugesse..and I’m sure he had some mixed children by the women in his off and on 2 years with the Hatteras. Now Sir Francis Drake was the person who picked up the first “Colony”….the first colony was not the first English trip….there was actually 6 trips….the first colony was more like the 3rd trip. lost colony was the 5th trip. Sir Francis drake was the 4th trip. Anyway…..Traveling with Drake was John Hawkins and william collins…..those two got left behind at Veracruz….they knew drake was going to Hattera to drop off supplies. This is proven..not a theory. ok so there was problems with the spianish in Verazcruz blah blah….so Hawkins and Collins knew there was a french colony in florida….so they went there…found the colony fisnihed off by the spainish…..so this crew started following the Native American paths up the East coast….Logic would say they would have went for Hatteras since they knew there was a Enlgish colony there and Drake was there….little by little people from their crew started just staying with various tribes….Hawkins and Collins and their crew was staying a few days with each tribe that would take them in….probally spent a few weeks with some tribes….anyway they probally got to Hateras and found out the First colony was not there…because the first colony had gotten the other tribes angry and the colony rode off to england with drake (Hatteras was still friendly to the english)….ok so they continue north and enter canada….end of a 11 month jounry and they finnally make it back….only some of the crew made it back though…..Only person I know who made it back was john Hawkins….I have not seen William collins listed as making it back to England. This is all proven. Ok on to the next stuff…..
We know the Saponi did often go live with the Catawba and cheraw…..we know the Lumbee are cheraw, Tuscarora, and Croatoan/Hatteras….their original name was Croatoan of roberson county. Ok so let’s see what the Saponi reocrds have. After John Lawson’s visit to Sapona Village around Febuary 1701, the Saponi and Tutelo left their villages behind. The Siouan tribes had been getting attacked from the North and South Iroqious tribes. These 2 tribes moved Eastward and the Saponi creek near Nashville NC probally shows the path they took. Occaneechi and the other allied tribes followed. They was all moving toward the settler’s settlements so Saponi village was no longer safe. They crossed the Roanoak river before the Tuskarora war of 1711. Their new Village was called Sapona townn. The Location was slightly East of roanoak river and about 15 miles westward from Windsor in Bertie county NC. So….do we have Newman’s ridge links to Bertie county, nc? yes we have that…..Bunch and collins….We even know that Valentine Collins’ dna matches perfect with the Bertie county, nc’s DNA….His dna matches Henry Bunch….who it just so happens….henry’s daughter married into the Collins family of Bertie…..Bertie being close to the Machapunga tribe where the Vandermullen, collins, Gibbs, and Austin are in the late 1600-early 1700’s….oldest records. Hatteras island by the way is riddled with Shipwrecks. So anyway….these Saponi move back to Virginia..
Saponi not happy with their living with the Catawbas and returned to Virginia. These Saponi bring with them some Cheraws (Catawba). They were forced to petition Lt. Governor Gooch for permission to resettle in Virginia, which was granted (Merrell 1989:116). Note: This Cheraw/Saura town very near the settlement of the ‘Rockingham County Indians’ known as the Gibson and Goins. Ok so we have the gibson and Goins name there…but anyway lets move along. The Stegaraki were located by Governor Spotswood of Virginia at Fort Christanna about 10 years earlier, and the Mepontsky, also placed there, may have been the Ontponea. We hear of the former as late as 1723, and there is good reason to believe that they united with the Tutelo and Saponi and followed their fortunes, and that under these two names were included all remnants of the Manahoac. And of course we know Louisa county, VA was the first known location of the Saponi under the name Monasukapanough…….ok so the Saponi leave the reservation….etc etc. Now let’s look real quick at another Person…..The Mattamuskeet’s chief/King wasSquires..under him was the Mackey/Macay, etc family…..now we would want to see if for a fact there was anyone really important from the Mattamuskeet was traveling with these Saponi into virginia from Hyde county, nc area. Which we do find that….Tonk Mack aka Tony Mackey. Now we already know about the Saponi recorded in Granville, nc and how the Collins, bunch, riddle etc was there at the same time….we know about the Newman’s ridge records etc etc…we know about the Broad river records, etc etc…..so let’s go back to Hyde county, NC where the oldest records are. Children with surnames attributable to the Mattamuskeet were well represented among the apprentice bonds of this period. Twelve persons with the surname of Longtom, and twelve with the Mackey surname were apprenticed (see appendices 40 and 41). Other families of probable Indian descent are also represented in the records. The Collins family was represented by apprentice bonds on ten different individuals. One member of the Elks family was apprenticed. The Barber family, which had at least partial Indian descent, was represented by eleven individuals, and the Chance family was represented by a single bond. It is probable that other “free persons of color” families were descended from Indians, but no level of proof exists to prove that supposition. The Mattamuskeets were, as indicated previously, joined by Indians from Roanoke and Hatteras Island by 1761. The names of these individuals were not identified on any of the extant deeds. This could mean the Indians from those areas moved to the Mattamuskeet area at a period later than that covered by the available records. Individuals with Mattamuskeet surnames do not occur in the Hyde County Records from 1761 to 1792. In fact, there is reference to only a single Indian during that time. This reference appeared in the Hyde County Court Minutes of 1765. It called for William Gibbs to show cause why an Indian woman named Cati Collins should not be set free. It is not clear from the reference whether William Gibbs was holding Cati Collins as an apprentice or a slave. The outcome of the show cause order could not be determined due to a break in the County Court Minutes from 1765 to 1767 (see appendix 35). woman, now in his service should not be set free. 1820 Hyde county, NC Census shows the collins, Mackey, and Gibbs family living right next door to each other. James Cleaves, blacksmith to Henry Tuley, ship carpenter, both of Hyde Co £70 in silver dollars @ 8s each 50 acres E side Matchapungo River, N side Slades Creek; beg Cleves corner pine in savannah, W170p with his line to black oak at head of Collins Creek, S110p along creek to Silvesters line, along his line N60° E200p to 1st. 25 Aug 1780. James Cleaves. Wit: Ben Russel, Sam Davis. Proved at Aug Ct 1780. Test: Thos Smith, Dep Clk. Test: Joseph Hancock, Reg. Regd 26 Oct 1781. 2) The Russell family name is one that is found amongst the Mattamuskeet Indians and shows up as such in the original records. in Virginia, nor go among the inhabitants in groups of more than three. some eventually joined the Five Nations of the Iroquois in New York. [FONT=’Times New Roman’][FONT=’Times New Roman’][FONT=’Times New Roman’][FONT=’Times New Roman’][FONT=’Times New Roman’][FONT=’Times New Roman’]According to a 1701 Lords Proprietors grant to Mr. William Barrow, a William Collins arrived into Bath County sometime prior to May of 1701, as William Collins was one of William Barrow’s headrights. In 1707, a Lawrence Collins was witness to a court transaction in Bath County. Land transactions between Samuel Selby to his son Samuel Selby, Jr.; George Squires (Mattamuskeet chief’s son) to Saml. Selby, Jr. proved by James McIntosh (one of my ancestors); a deed from “Long Tom and Other Indians” to Cason Brinson for land “in Arrowmuskeet” proved by Saml. Selby; a deed of gift from Edwd and Ann Tison to Danll Tison on east side of Matchapungo River proved by Uriah Collins. Josiah is listed in 1771 in Bertie County as a “free mulatto” in his own household. Josiah’s mother Rachel (BUNCH) Collins belonged to a family long identified as “mulatto” or “free people of color”. They were of the people group called Melungeon. Josiah is said to have married Nancy BUNCH, a daugther of Jeremiah BUNCH, and surely a cousin of his in some manner. This Collins family was in Montgomery County, GA by 1805. Josiah died in 1809 in Lauren County, GA when his estate paperwork identifies his whife Nancy and four children. Various dates are listed for the birth of Joseph Collins, from 1724 to as late as 1736. Joseph is also credited with marrying at least three times: Rachel BUNCH (d/o Henry BUNCH), Sallie/Sarah, and Elizabeth (perhaps BENNETT) the widow of James PENNY. Rachel BUNCH was the wife of Joseph Collins when her father Henry BUNCH wrote his will in 1776 and is probably the mother of most of the children. Josiah Collins was the son of Josiah and Nancy Collins, and was born between 1775 and 1780 in Bertie County, NC. 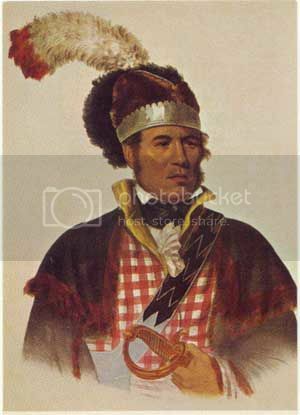 He married to Susannah SUMMERLIN, daughter of Elisha SUMMERLIN, on 9 February 1801 in Bulloch County, GA.
Now if you ask me….they look like chief mcintosh, I’m sure no one will say he was half white and half black without native american parents…he was half creek indian and half scottish. and now a mixed race person….I’m sure everyone knows the famous Bunch family descendant…Obama. This next ladies mother was of Dutch origin and her father of African origin. Here is some other stuff I was writing to someone today…I guess it could be used as a add on to what I already put here. He is the strongest Native American who ever walked the planet. He is a legendary powerlifter, strongman and philanthropist. As a powerlifter, he was a three time USPF champion. He went to the IPF World Championships winning the gold medal for best bench twice. As a strongman, he competed in the World’s Strongest Man Contest twice in 1993 and 1997. He finished second in the 1997 American Strongman Final. He has done so many great events for charity, there isn’t room in this brief summary to adequately enumerate them. He currently owns the Pembrook Powerhouse Gym in North Carolina. His strongman career and his dedication to charity work continues. There are many spelling variations to the surname Goins that include but are not limited to: Goin, Going, Gowen, Goyne, Guin and Goen. While the name does not appear in most of the list of names that are associated with the English surnames that are connected to the Lost Colony, there is a history of the Goins intermarrying with Waldens , Chavis, Locklear and other surnames that are associated with the Lost Colony. There was Francisco Guni that arrived in 1538 and Doughan Gannes that is listed on the roster of 1584. Some have speculated the name Goyne could be related to the Spanish and Portuguese settlers from Florida. It is interesting to note that James Ernest Goins is the current Chairman for the Lumbee Indians of North Carolina and is said to have come from a long line of tribal leaders. that is a picture of Jimmy goins. Pamunkey Indian Simeon Collins and his Kent County wife Pinkey (ca. 1899), Smithsonian Institution. To many people, the Outer Banks are synonymous with shipwrecks. Indeed, one would have trouble finding a more representative or fascinating aspect of local history. The Tiger, an English ship of Sir Richard Grenville’s expedition, was the first unfortunate vessel, wrecking here in June 1585. The latest may be as recent as this morning’s newspaper. (Note: Interesting is Scott Dawson has records of shipwrecks even before that one. I’ve seen the recordsScott Dawson has…but anyway). a map showing several shipwrecks. The first recorded shipwreck along the North Carolina coast took place in 1585, when one of John White’s flagships, the Tyger, wrecked at Ocracoke Inlet. In the 400 years since, historians estimate that over 1,000 ships have been lost along the coast, earning the treacherous waters the nickname “The Graveyard of the Atlantic.” Mariners still dread the trinity of capes that characterize North Carolina’s coast: Cape Hatteras, Cape Lookout, and the aptly named Cape Fear. Like the points on a net, the capes arc far into the Atlantic, with submerged shoals extending even further. Geography combines with weather and circumstance to create a dangerous situation for mariners. In April, 1562, two French vessels commanded by Jean Ribault arrived in Port Royal Sound on the coast of present-day South Carolina. The French Huguenots aboard those ships were searching for a place to establish a colony free of the religious persecution they suffered in France. Ribault built a fort, Charlesfort (located somewhere on Port Royal Sound), and left a garrison of 27 men in it while he returned to France for supplies and additional colonists. Ribault’s return was delayed by civil war in France, and soon tiring of the desolation at Port Royal, the men left in Charlesfort mutinied, killed their commander, and returned to France in a boat they constructed. A year later, a second French expediton led by René Goulaine de Laudonnière established a new French outpost, Fort Caroline, on the St. Johns River near present-day Jacksonville, Florida. anyway here is more info on the NC Coast. Rising 110 feet, Jockey’s Ridge is the tallest active sand dune on the east coast. Hiking, hang gliding, kite flying and sunset watching over Roanoke Sound. Facilities include picnic area, museum and auditorium. ## Jockey’s Ridge is the tallest natural sand dune system in the eastern United States. It is an example of a medano-a huge hill of shifting sand that lacks vegetation. Long before the first European settlers, the Algonquian Indians inhabited the Outer Banks. Following its sighting by Spanish and French explorers, the ridge became an important landmark for mariners. Jockey’s Ridge, which was in danger of being compromised by commercial development, was declared a National Natural Landmark in 1974 and became a State Park in 1975. Visitors to this park can enjoy nature trails, educational programs, a museum that interprets the natural and cultural history of the site, and recreational activities including hang gliding. Hatteras Island was first discovered by the Algonquin tribes of Croatan Indians who inhabited the land before 1497 when Amerigo Vespucci anchored his ship there. The island was uninhabited by the Western world again until 1524 when the French and Spanish landed to mine gold and then in 1584 when Sir Walter Raleigh colonized the outer banks at the order of Queen Elizabeth the first. Attempts to settle on the outer banks of North Carolina were largely unsuccessful and life here didn’t settle down until 1729 after Blackbeard the pirate and the Indians left or died and British Monarchy resumed rule. Between 1776 and 1783 the War for Independence broke out as tensions between the British rulers and Carolinians came to a head, with the latter winning outright. The explorer and cartographer Amerigo Vespucci (March 9, 1454 – February 22, 1512) was the first person to demonstrate that the New World discovered by Christopher Columbus in 1492 was not the eastern appendage of Asia, but rather a previously-unknown “fourth” continent. [a] The continents of North and South America (and, by extension, the United States of America) derive their name from the feminized Latin version of his first name (see Naming of America). Amerigo Vespucci was born in 1454 in Florence, Italy. Amerigo Vespucci worked for Lorenzo de’ Medici and his brother, Giovanni. In 1492 they sent him to work at their agency in Seville, Spain. The Italian explorer Amerigo Vespucci set foot on the beach here in the 16th Century. Four hundred years later, the wreckage of ships destroyed by German U-boats washed up on the same beaches. Anyway…here is more information on the Collins. Courtesy of the author, Patrick H. Garrow. Little has survived in the records concerning the Mattamuskeets from 1761 to 1792. Rev. Alexander Stewart visited the Mattamuskeets in 1761 and 1763, and left brief accounts of his visits. Stewart reported after his 1761 visit that the Mattamuskeets were residing with a few Roanoke and Hatteras Indians who had moved to their area. He notes the baptismal of two men, three women, and two children during that visit. Stewart established a school at Mattamuskeet when he returned in 1763. He baptized six adults and fifteen children at that time. Stewart remarked that the Indians at Mattamuskeet had mixed with whites, but did not indicate whether this mixture was residential or racial (Johnson 1972, 213). The Mattamuskeets were, as indicated previously, joined by Indians from Roanoke and Hatteras Island by 1761. The names of these individuals were not identified on any of the extant deeds. This could mean the Indians from those areas moved to the Mattamuskeet area at a period later than that covered by the available records. Individuals with Mattamuskeet surnames do not occur in the Hyde County Records from 1761 to 1792. In fact, there is reference to only a single Indian during that time. This reference appeared in the Hyde County Court Minutes of 1765. It called for William Gibbs to show cause why an Indian woman named Cati Collins should not be set free. It is not clear from the reference whether William Gibbs was holding Cati Collins as an apprentice or a slave. The outcome of the show cause order could not be determined due to a break in the County Court Minutes from 1765 to 1767 (see appendix 35). Cati Collins may have been a member of one of the groups that moved to the area from Roanoke and Hatteras Islands. This document is particularly significant since the Collins family’s later history closely paralleled that of the individuals with Mattamuskeet surnames. Also, the Collins descendants now residing in Hyde County are thought to be of at least partially Indian descent. The only other reference to Indians in the area that could be located during this research was a notation in a book by David Stick (1958, 73). According to Stick, an Indian woman named Mary Elks sold the site of the Indian town of Hatteras to a white settler named Nathan Midyett in 1788. Individuals with the Elks surname do occur in the Hyde County Records as “free persons of color” during the nineteenth century. This surname has apparently disappeared from Hyde County. in grants. The site of the Fort became known as Fort Hill Plantation. [FONT=Times New Roman][FONT=Times New Roman][FONT=Times New Roman][FONT=Times New Roman][FONT=Times New Roman][FONT=Times New Roman]According to a 1701 Lords Proprietors grant to Mr. William Barrow, a William Collins arrived into Bath County sometime prior to May of 1701, as William Collins was one of William Barrow’s headrights. My Mother was a Selby down the line from Samuel Selby. I’m interested in these Selby’s. What more information do you have about the Selby’s. Were they NDN? Our Family came to Central MO in/near Miller Co, Camden Co which is now the Lake of the Ozarks area. Up our line we have Chicasaw from Annie Princess Littlefoot from around the Tenn area. I do not have much more info. and read thru that…it’s alot of stuff in it. looks like about 30 or so numbers match to me. Various dates are listed for the birth of Joseph Collins, from 1724 to as late as 1736. Joseph is also credited with marrying at least three times: Rachel BUNCH (d/o Henry BUNCH), Sallie/Sarah, and Elizabeth (perhaps BENNETT) the widow of James PENNY. Rachel BUNCH was the wife of Joseph Collins when her father Henry BUNCH wrote his will in 1776 and is probably the mother of most of these children. Sallie appears on a DAR record as a wife of Joseph and stories exist that she was perhaps the widow of one of Joseph’s brothers and brought additional children into the marriage home. No proof of this marriage has been found. Elizabeth definitely had PENNY children in the Collins home, and was the wife of Joseph at the time of his death in 1802. Josiah is said to have married Nancy BUNCH, a daugther of Jeremiah BUNCH, and surely a cousin of his in some manner. This Collins family was in Montgomery County, GA by 1805.
looks like we have proof of collins and Bunch marriages there in Bertie county, nc also. so if you ask me….one of the collins women gave her last name to one of the Bunch children. I’ll repeat myself, I ain’t going for your “spin”. My Y-DNA is NOT an exact match with the Bunch family of Bertie County. I have no connection to Bertie County. And I descend from 2 of Valentine Collins sons, David and Joshua Collins. E1B1a is an African haplogroup. That is not a spin…that is real life records……I’m just going by what actual records states. You can find the records at any national archives building and probally any library which has Bertie county, nc geneology stuff. If it is my spin…then I must have traveled back in time and replaced records or somthing…..
the Bertie county, nc collins often married into the Bunch family of bertie county, nc. It was not just one or two times it happened either in Bertie county, nc. These people was called the Pell mell….a group of mulatto people. I also posted the link to the actualy Y DNA results…which shows how many numbers match…and I counted right at 30 numbers matching Valentine collins and Henry bunch. Now for E1B…..that is a common group on Cabo Verde island…Cabo Verde’s dna project done by professional people….came back with the same haplo group results as that of the Newman’s ridge results. The Melungeon story about a burned ship from portugesse sailors who then took native women as wifes……well when the english first came to hatteras island in 1584 there was in fact pieces of a shipwrecked boat which was partially burned….the hattera aka croatoan tribe did in fact have a flag which had the circle wit the cross in the center (used by both Portugesse and Spanish) and they have some auburn haired children who the tribe said was from the shipwrecked crew and their native women….the men fromt hat crew had left the tribe before the english came in 1584. That part is proven fact as well…..I got that right from not one but 6 Hatteras island historians. Cabo Verde island….known during the 1400- present as a mulatto island. Any spainish or protugesse who came to the carribean had to stop at Cabo verde before their long journey……every pirate landed on cabo verde before going to Carribeans……Sir francis drake, william collins, and john hawkins all sacked Cabo Verde around 1585………..William collins and john hawkins got split from drake…..they ended up at veracruz while drake ended up going to hatteras island…..collins and hawkins went to florida hoping to find the french colony only to find the spianish had destroyed it….so they took native american paths looking for drake….which they would have ended up at hatteras island….it took 11 months for hawkins to go from florida to canada…..he eventually made it back to england however he said many of the crew decided to stay amongst native american tribes…. That part is fact also. the mattamuskeet documents of 1978 state that the collins of hyde county, nc appear to have been the Hatteras tribe that was stated as joining the machpunga/mattamuskeet. The Saponi after being driven from VA by the iroqious they eventually made a village in bertie county, nc…..they then go into Brunswick, va and then are told they are to joint he cayuga…some do….the ones who stay are then told they can join the tuscarora in bertie county, nc…some do….the saponi’s orignial location under the name of monasukapanough was Louisa county, VA…..other two tribes that was put on the brunswick reservation was the two manahoac tribes from Orange county, VA……other tribe put on the reservation was Occaneechi…..most famous location of them…hillsboro NC…aka Occaneechi town….Orange county and granville counties NC. Recorded words for the Saponi on the brunswick Reservation…..Siouan, Algonkian, and a 3rd unknown language. These are historical facts which are 100 percent proven and backed up. NC (1700-1913) A Brief Sketch by James E. Cowan”. a country then remaining just as God had made it. The birth year of John Collins is again an estimate based on a 1716 deed in Bertie County, NC. It is believed that John Collins married to Martha DEMPSEY, who is believed to be the mother of all of his children. John’s will written in 1749 does call his wife by name, but his estate papers in 1752 name his wife as “Mary” indicating a second marriage. John Collins wrote his will on 27 December 1749 in Bertie County, NC. His will states that some of his sons are underage and should receive their estate at age 18. He also names eight sons, then specifically re-lists six of them. John Colins’ estate went to probate on 18 March 1752 in Bertie County. Martha T. Collins – 1m. Edward BRYANT; 2m. Humphrey HARDY; her will went to probate in 1812 in Bertie County, NC. William Collins – m. Margaret RHOADES, he died in Tyrrell County, NC in 1764. Joseph Collins – see the next section. John Collins – may be the John Collins granted land in Washington County, GA in 1784. Michael/Miel Collins – b. by 1729, he died in 1799 in Nash County, NC. Dempsey Collins – d. 1805 or 1810 in Marion District, SC. Absalom Collins – was in Chowan County, NC by 1780. Jesse Collins – was in Bertie Couty, NC in 1771. 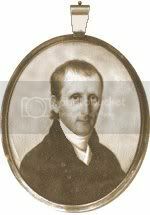 John Collins – m. Kerenhappuch WHITE; he died before 1791 when two sons were apprenticed out to learn trades in Bertie County, NC. Josiah Collins, Sr. – see the next generation, section 3A. Joab Collins – m. Zilpha, d. 1823 Tattnall County, GA.
Jesse Collins – m. Sarah Moses KEEN, he d. 1842 Tattnall County, GA.
Henry Collins – m. Penelope BAZEMORE, he d. 1817 Tattnall County, GA.
Joseph Collins, Jr. – see the next generation, section 3B. Willoughy Collins – m. Angelica BROWN, he d. before 1802. Bennett Collins – Bennett died in 1813 in Bertie County, NC without children. He brothers and sisters (the children of Rachel BUNCH) had dealings with his estate and lands. The other Collins children named above are not mentioned. Hardy Collins – 1m. Eleanor, 2m. Penelope (BAZEMORE) Collins, wife of Henry Collins above. Josiah Collins, Jr. – see the next generation, section 4A. James Collins – m. Frances ?SUMMERLIN? Acceth/Axeth Collins – m. Daniel HOWARD and was a widow by 1805. Kiziah/Kissiah Collins – m. Thomas NEWBURN, Jr.
Joseph Collins, later in life known as Joseph Collins, Sr., was born between 1760-1770 in Bertie County, NC. He married Frances “Fanny” BAZEMORE on 7 October 1787. She was the daugther of Jesse BAZEMORE and Frances ?WHITFIELD?. Penelope BAZEMORE – the baseborn daughter of Frances BAZEMORE before she married Joseph. Penelope grew up to marry first Joseph’s brother Henry, and then later his nephew Hardy. Joseph Collins, III – bc 1795 m. Susan Lavinia/Luvicy COOK in 1815 in Tattnall County, GA.
Miel Collins – b. 1798 m. Elizabeth HOLLAND. Frances Collins – b. 3 AUG 1804, m. Wiley ADAMS. Joseph Collins married second to Mary “Mollie” SIKES, daugther of Daniel SIKES and Elizabeth Dabney CAWTHON. As a child Mollie Sikes survived a scalping in an Indian attack that took her father’s life. Joseph Collins died sometime after the 1840 census and before 19 January 1841 when his oldest son Joseph was dismissed from being guardian to his two youngest brothers. Joseph Collins apparently died intestate, and has probate papers in the Tattnall County courthouse from 1843 and 1844. His widow Mary Collins died before July 1844 after writing her will on 29 MAY 1844 in Tattnall County, GA.
? ?Frances Collins – b. 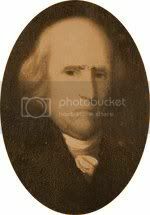 3 AUG 1804, m. Wiley ADAMS?? It is unclear who Frances’ mother was. Sikes Collins – bc 1806, d. before 7 FEB 1833. Sarah Collins – bc. 1808, m. William A COURSEY 11 October 1827, d. 1880. Ziba Collins – bc 1811, m. Flora FERGUSON, d. 1855-1860. George Washington Collins – b. 1812 m. Temperance “Vispy” COLLINS on 10 March 1833 (i am not sure who her parents were). Andrew Jackson Collins, (CSA) – bc 1818, m. Mary Ann HOLLAND 14 July 1845, died after 1905 in Toombs Co., GA.
Robert R. Collins, (CSA) – see the next generation, section 4B. Show me the “facts” that Valentine Collins is a descendent of the Bertie County Collins/Bunch families. No one really even knows who the Father to Valentine is. You have no idea how DNA works, your statement about 30 markers out of 67 matching, means nothing, ziltch, nada. A well known Genetic Genealogist, who is advisor to Jack Goin’s DNA project, doesn’t believe my Collins line and the Henry Bunch line are related.